Back after a twelve year break with a new lineup and a new CD, Archer and Saw are joined by longtime associate Collins for a series of compositions using each players multi-instrumental capabilities. 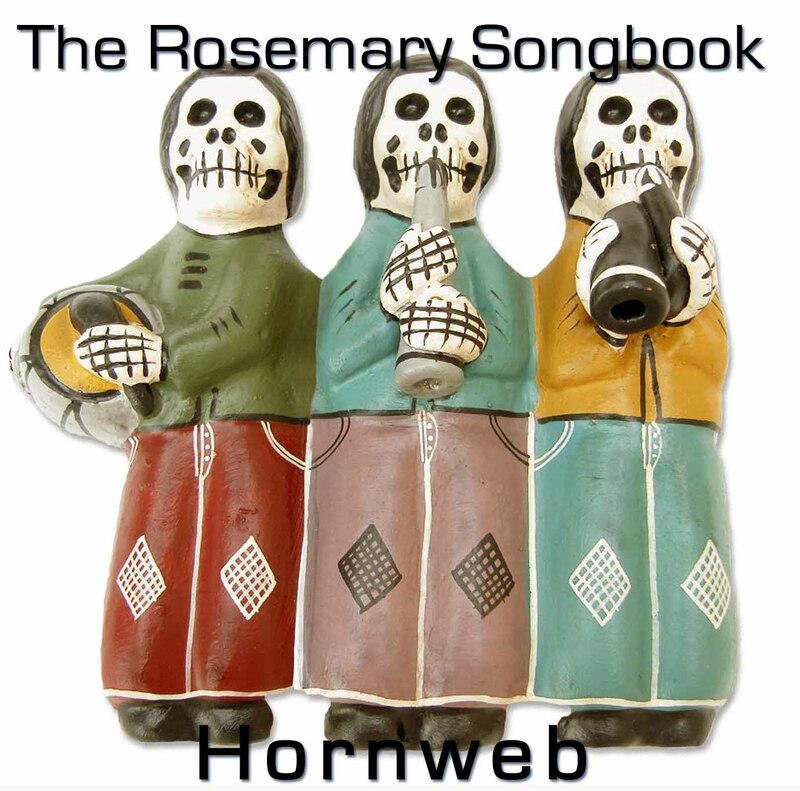 The Rosemary Songbook celebrates the 25 year marriage of John and Rosemary Coldwell, and Hornweb wish to thank John Coldwell whose very generous financial support has funded this release in full. Although not initially conceived as a Hornweb project, as soon as the trio had begun work on this CD the nature of the music implied such a strong continuity from the earlier group that we decided that the "brand name" should live once again. Hornweb was, of course, initially a saxophone quartet and latterly a quintet including trumpet or trombone, while this new version of the group is a multi-instrumental trio. But the nature of the music itself - jazz based, horn led, and in the AACM tradition - clearly indicates a line of continuity directly from the old group. In the intervening 12 years Hornweb prime movers Archer and Saw have switched their primary instruments from saxophones to electronics and brass respectively. Collins rehearsed with a large group version of Hornweb in the late 1980s which never actually performed, and of course has been a long time associate of the other two. He too has switched from woodwind to vibraphone and percussion over the last period. This new recording comprises a series of short tracks - nothing longer than 3 minutes - in which percussion and electronics create structures for composed and improvised horn parts. The group's intention is to play this material live following completion of the CD.